One of the things that I really do love about the weekend, is the time to look at other blogs, and to check out different challenges. And this weekend isn't really any different. I really do enjoy being on the design team for Our Creative Corner. The challenges are always different, and most of them really do make me exercise my creative side. The other designers are super talented and they keep me on my toes. This week, is no different. Anita, would like us 'to make a card or tag with some sort of bingo card on it, and use the color green somewhere on the project'. This card was pretty fun to make. The floral pattern paper is from Basic Grey. The yellow polka dot paper is from Cosmo Cricket. The 'bingo card' I made with a stamp set. The 'wish' ticket is from Tim Holtz. The 'Birthday' sentiment is from Stampin' Up! The flower is made from card stock and a scallop circle punch. I centered the paper blossom onto a butterfly, that was cut from a die. I made a double bow, out of some green seam binding. I also added some bakers twine and a button. I created a Birthday card, because I also wanted to help another challenge blog celebrate their second birthday, The Shabby Tea Room. I have found some inspiration there, and have participated in a few of their challenges. 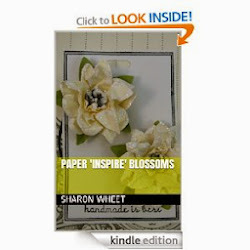 They have helped me 'develop' my favorite style of paper crafting: shabby chic. Join us @ Our Creative Corner, to play along with our current challenge: The Luck of the Irish. Show us what you can do with a Bingo card and green. And, if you have a chance, stop by the The Shabby Tea Room, to join them in their celebration of their second year! Happy Saturday! I hope you enjoy your weekend! Labels: altered clip board class, beautiful wings die, bingo alphabet, early bird, out of print, vintage label, watercolor trio.adage tickets. I have to concur with Anne-Marie Sharon, and say you have made a very pretty card, your Bg is just beautiful as is your Flower. Gracious this is fantastic! I LOVE the scallop yellow and the colors are yummy. Simply gorgeous! It's great to be back on the OCC again, I'm happy to be craftin' with you once again! This is absolutely gorgeous!! Beautiful papers, a gorgeous flower, and beautiful seam binding. Thanks for joining us at The Ribbon Reel this week! 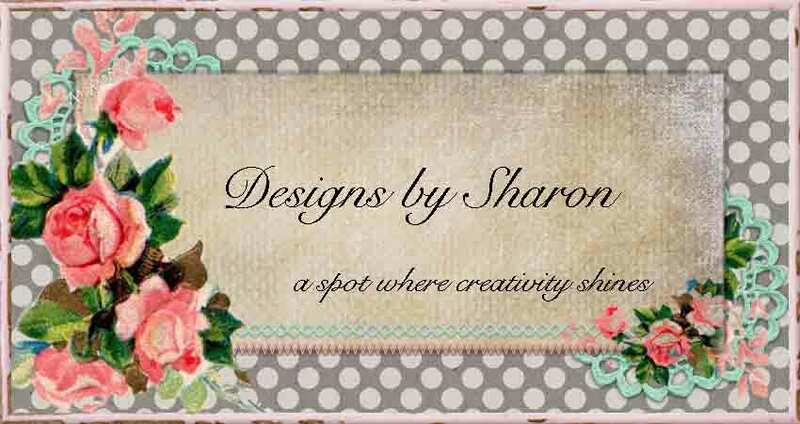 WOW Sharon...you made bingo romantic and shabby chic!!! What a BEAUTIFUL card...I love the rose paper and all of your wonderful embellies...fabulous!!! This card is just BEAUTIFUL!!! I love this shabby chic look!!! The colors and the softness from the flower and paper are perfect!! Absolutely LOVELY!!! Amy L.
This is just gorgeous Sharon ... love your shabby chic style and love what you have done with this Bingo challenge ... awesome card!!! Sharon this is totally gorgeous, just love that pretty flower and bow! !